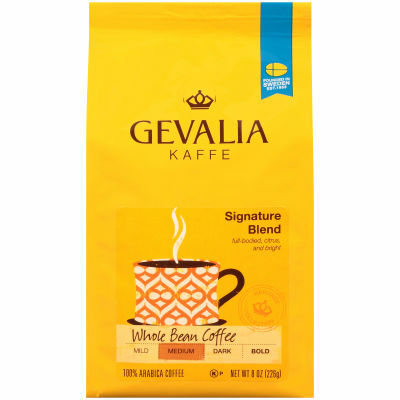 Gevalia Signature Blend Regular Whole Beans Coffee| |Revitalize your day with a smooth, full-bodied cup of coffee. Gevalia Signature Blend Coffee features perfectly balanced 100% Arabica beans that deliver bright, aromatic flavor you'll love any time of day. Grind just before brewing for a fresh cup every time. - Relish the Refreshing Taste - Ideal for any occasion, this robust and perfectly-balanced medium-roast coffee will liven up your taste buds. The beans come packaged in a sealed bag that maintains freshness, retaining their robust aroma and delightful, flavorful taste.